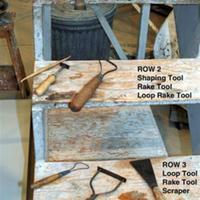 Single sided wire loop tool. 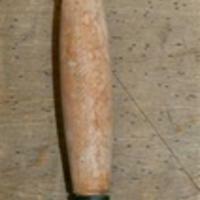 Double ended wire loop tool with wood handle, tagged with number 44. 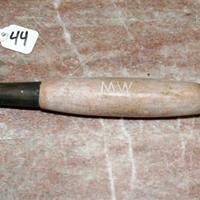 Double ended wire loop tool with wood handle tagged with number 43. 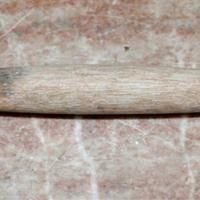 Double ended wire loop tool with wood handle. Tagged as number 41. Tool is on ROW 1 on left. 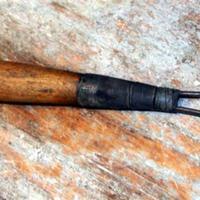 Double ended wire loop tool with wood handle. Tagged as number 42.